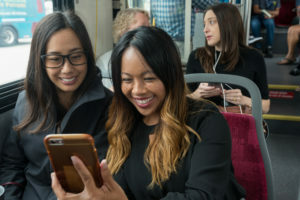 Employers and commuters in the San Diego region are invited to participate in National Rideshare Week, October 1-5, hosted locally by the San Diego Association of Governments (SANDAG) iCommute program. Employers can register to encourage employees to share the ride through this Friday, September 21. Registered employers will receive regional recognition for their efforts to educate employees and promote sustainable commute choices. *For complete rules, visit 511sd.com/iCommute.